"Play as a War Chie"
Get ready Age of Empires fans. 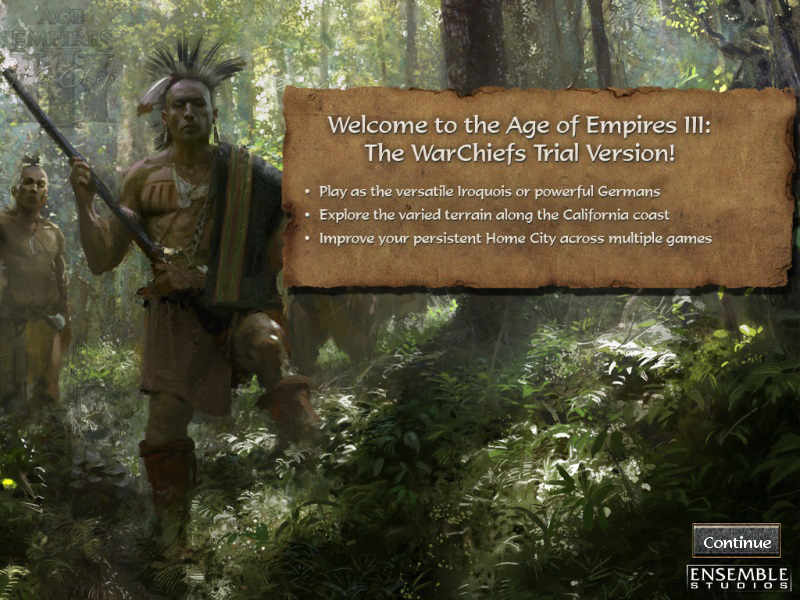 You can now get the Age of Empires III: Warchiefs expansion pack trial right here on Rocky Bytes. Warchiefs is the first expansion pack of the Age of Empires III game and it allows you to see a completely new perspective during the time period. You now have the opportunity to experience the role of a War Chief. 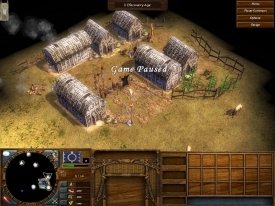 Like other Age of Empires titles, Warchiefs allows you to play as different civilizations in an effort to obtain complete dominance over the others help your empire prevail in a tough society. Each civilization has their own set of skills and abilities that make them unique. For example, the Iroquis war chief boosts hit points while the Soux warchief boosts speed and the Aztecs warchief doubles experience gained for nearby units in battle. In Age of Empires, your goal is to guide your civilization through the ages. This is a lot easier said than done as you will face a plethora of challenges along the way including, but not limited to, random attacks from other civilizations on your land to try to keep you from being successful. As you guide your civilization, more resources and items will become available to you. You can then use these resources to defeat even more enemies and advance to the next age. Where you will become even stronger and more prepared for even the toughest of attacks from the enemy. Download this expansion pack trial for Age of Empires III today. You'll enjoy it, I'm sure.